In their quest to spread the Word of God, missionaries have for centuries traversed continents to reach some of the most isolated and hostile places on earth. Currently on display at New College Library is a mere handful of the wealth of literature written by those who risked their lives to introduce Christianity to nations only recently acquainted with Western influence. Dating from the mid-1850s to the turn of the nineteenth century, these titles are notable not only for their vivid Victorian book bindings, but for the captivating stories of enduring hardship and inherent peril of which they tell. A Thousand Miles of Miracle in China first published in 1904, recounts the personal experience of Archibald D. E. Glover, a missionary who witnessed first-hand the brutality of the Boxer Uprising of June 1900, an unrelenting attack on Western missionaries and Chinese Christian converts. Glover recalls half of the missionaries in the Shan-si region were murdered and that he and his family were lucky to escape with their lives. The Cross and the Dragon or Light in the Broad East focuses on an earlier era of missionary work in China as described by the Reverend Benjamin Couch Henry. A Princeton graduate, Henry travelled to Canton (now Guangzhou) in 1874 and describes in detail the deeply unwelcoming reception of Western missionaries. Labelled as ‘foreign devils,’ it was widely believed they had brought misfortune to the country, including drought and famine. The story of James Hannington, who became the first bishop of East Equatorial Africa, begins on a decidedly light-hearted note but ends ultimately in tragedy. The Life and Adventures of Bishop Hannington documents in often comical detail the Anglican minister’s travels to Zanzibar and Uganda between 1883 and 1885. Accompanied by striking colour illustrations and formed in part by humorous letters written to his young nephews, Hannington’s eventual kidnap and murder by tribesmen is recorded from his own pocket journal recovered by a later expedition after his death. A number of missionary accounts from the period are noteworthy for their inclusion of foldable maps as seen in Fiji and the Fijians. Measuring just 18cm in length, the map included in this account which spans two volumes charts the cluster of islands as they would have appeared in the mid-nineteenth century to the missionaries who first arrived there. Missions to this region however were not without risk as demonstrated by the fate of English missionary Thomas Baker who was killed and eaten by cannibals in Nabatautau, Fiji in 1867. 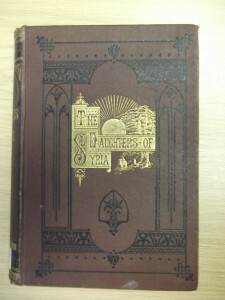 The Daughters of Syria recounts the tireless work of female missionary Mrs Elizabeth Bowen. Following the outbreak of civil war which resulted in the massacre of thousands of Christians, Mrs Bowen travelled alone to Lebanon in 1860. Her efforts resulted in the establishment of the British Syria Schools in Beirut, providing a lifeline to the many widows and children left destitute by the conflict. The diversity of missions undertaken during the Victorian era is perhaps best demonstrated by Village Work in India, the account of Normal Russell of the Canada Presbyterian Church. 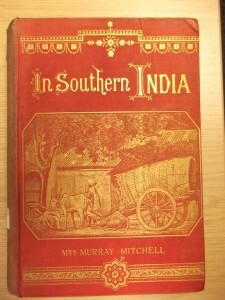 The Reverend’s mission to Madhya Pradesh, Central India between 1890 and 1902 is accompanied by a number of photographs taken during his often perilous travels. Today, missionaries continue to travel the world and although many still encounter great danger, the fascinating yet harrowing accounts of these first missions provide unique insights into unexplored lands and of the lives of those who lived there. Now we’re in the in the final stages of the Centre for the Studies of World Christianity Library (CSWC) Project, we’re receiving daily deliveries of books to New College Library from the Library Annexe.Nearly 7,500 items have already been reclassified with Library of Congress classmarks, with roughly 2,500 of these set be housed at classmark BV, Practical Theology & Missions. CSWC books can be identified on the library catalogue as “Andrew Walls Library Collection. 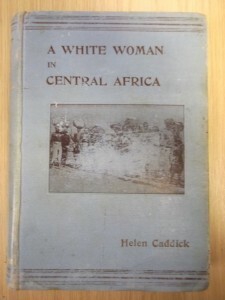 From the Library of the Centre for the Study of World Christianity, University of Edinburgh. Presented by Professor Andrew Walls, OBE.” All of these items are unique within the University of Edinburgh Library, and I’ve found a number I’ve looked at to be unique in the UK. I spent time this week looking through a selection of CSWC books that were published before 1900, and selected over 50 to be held in the Special Collections at New College Library. It’s fascinating to see how many titles are about women missionaries, or written by women, reflecting their engagement in the mission activity of this time. Many of these items have attractive pictorial Victorian publishers bindings, such as these books – A White Woman in Central Africa, Daughters of Syria and In Southern India. 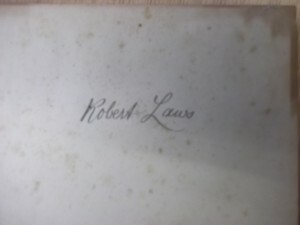 Some items in the collection include signatures, such as the two Chinese-English dictionaries signed “Annie Buchan”, evidence that they were used by this missionary to China whose papers are in the care of the CSWC Archive. 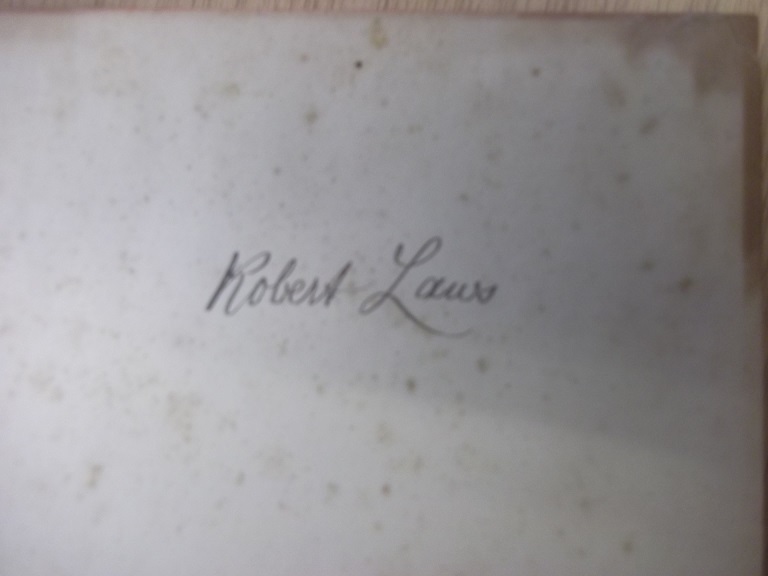 A number of volumes are signed by Robert Laws, Free Church of Scotland missionary to Livingstonia, Nyasaland (now Malawi), whose diaries are held in New College Library’s Special Collections at MSS LAW. Recently added to the collections for Divinity at New College Library is the Journal of African Christian thought : journal of the Akrofi-Christaller Memorial Centre for Mission Research and Applied Theology. This journal was requested for World Christianity at the School of Divinity. 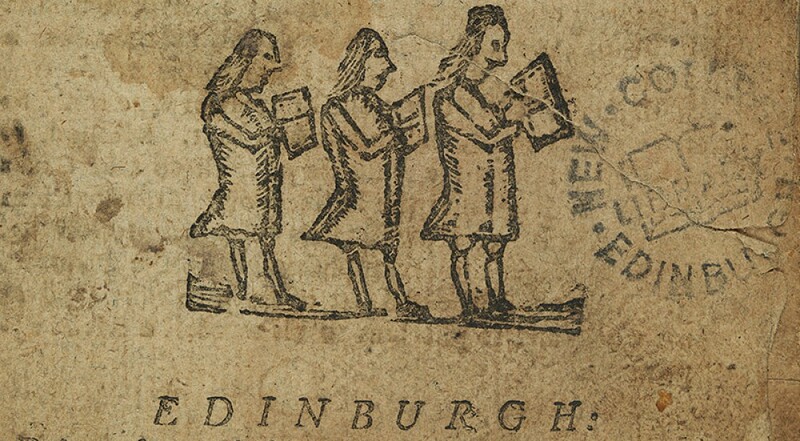 The University of Edinburgh is the only location in Scotland for this journal. Today’s Centre for the Study of World Christianity Research Seminar is presented by Dr Jack Thompson, ‘African mission photography: Light on Darkness’. 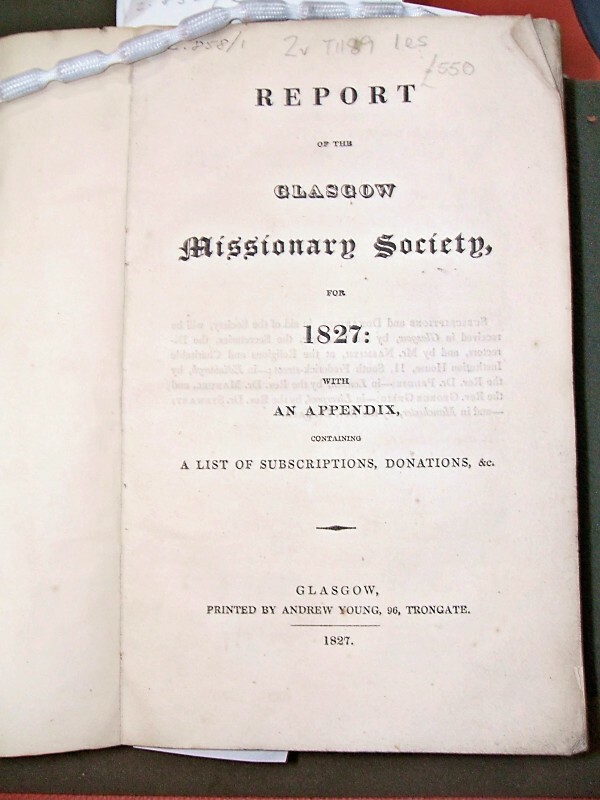 This item, Reports of the Glasgow Missionary Society, from New College Library’s Z Collections, is a printed record of missionary activity, evidence of the hundreds of Missionary Scots at work across Africa. I was charmed to find that among them was a Dr John Love (perhaps an ancestor of mine?) one time secretary of the Glasgow Missionary Society. The Church of Scotland’s first important missionary station in Africa, at Kaffaria (established in 1830), was named Lovedale after him. New College Library also holds in its archives a volume of illustrations of Church of Scotland missions in South Africa (Gen. 827F), which features Lovedale. Further details can be searched online at www.mundus.ac.uk.